Brittany was born and raised here in the desert. She graduated from Cathedral City High School and has went on to continue her education. She is currently enrolled in online classes with Arizona State University where she will receive her Bachelors of Science Degree. 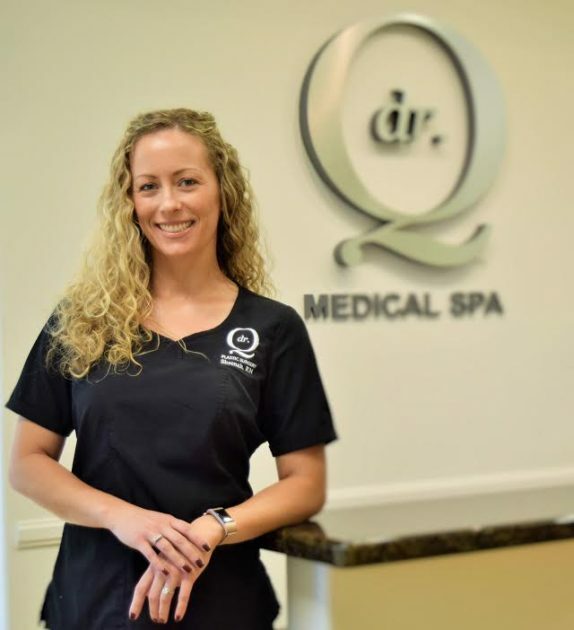 She loves meeting new people and prides herself in giving every patient exceptional customer service which has made her a great addition to Dr. Q’s staff. In her spare time, she enjoys spending time with her family whether they are out boating in Havasu or riding the dunes in Glamis. Her normal day-to-day routine consists of spending time with her husband, two dogs, and living an active and healthy lifestyle. With her busy life of being a full-time employee and full-time student she always manages to have a smile on her face, and has had loyalty with the practice for 4 years. Laura is a local native born and raised in the Coachella valley. Growing up, she frequented the local hospital where her mother worked as a registered nurse. She became enthralled with the medical field and knew early on that this was her calling. Before pursuing a career Laura played high school and college basketball which is still a passion of hers. After her athletic career came to an end she attended MA school and graduated in 2010. 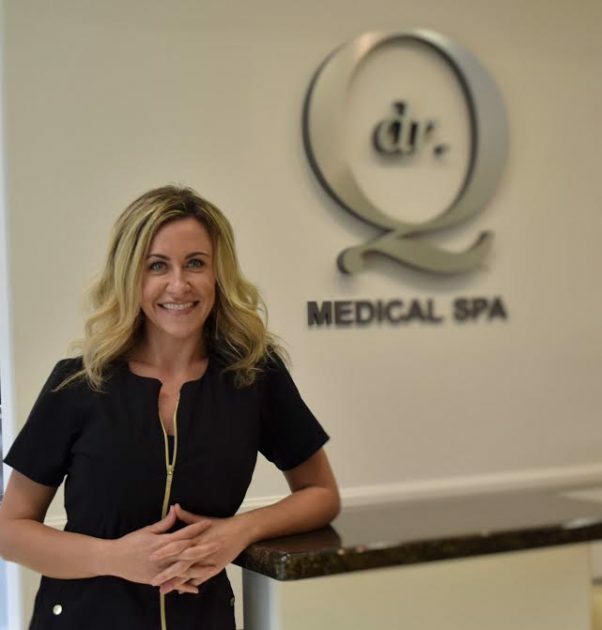 Laura’s journey in the medical field began in dermatology and cosmetic surgery. 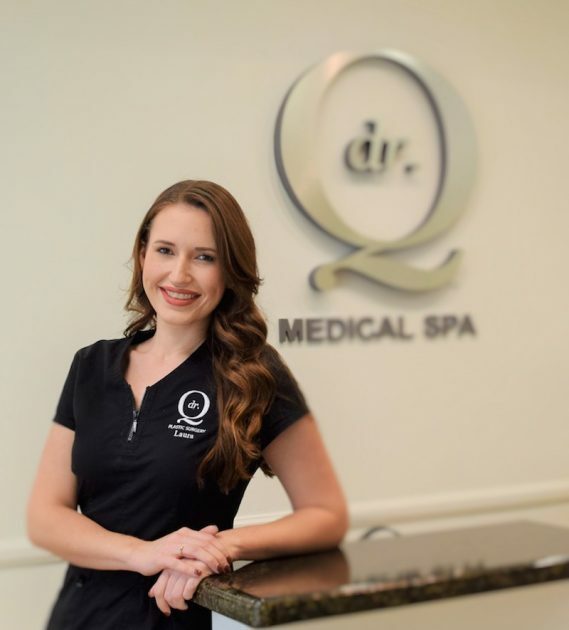 Working in cosmetics she gained knowledge and experience that made her a great asset to Dr.Q’s team. She has been with us for over 5 years now, and is determined to finish her schooling and one day become a registered nurse. We are very proud to announce she has been accepted into the nursing program at College of the Desert. 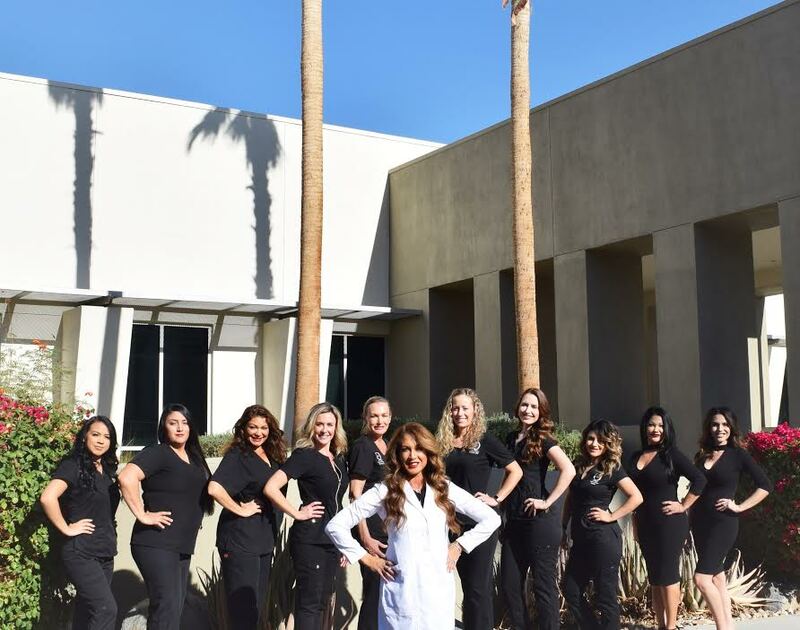 Yasmin was born and raised in the Coachella Valley where she found a passion in the medical field. After graduating high school she attended Kaplan College where she earned her medical assisting certification. 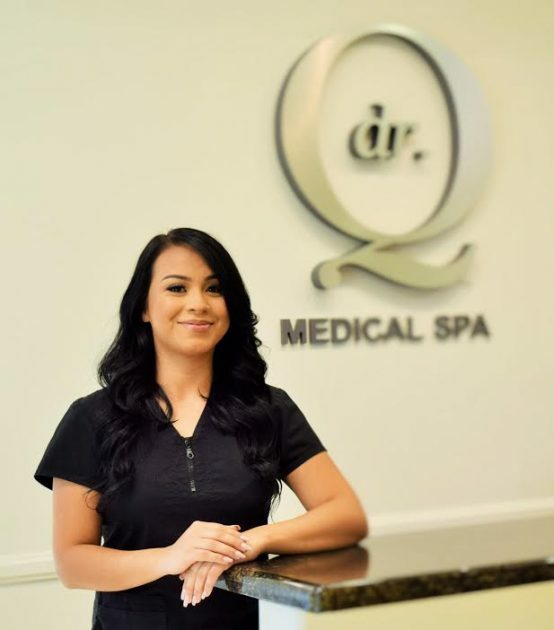 After graduating she was eager to start her career, she was immediately brought to the team and has been a loyal hard worker for 4 years at Dr. Q Plastic Surgery. Today she continues to grow in the medical field and is always willing to learn new skills and procedures. While Yasmin is away from the office, her greatest pleasure is enjoying time with her daughters and creating new memories with her family. 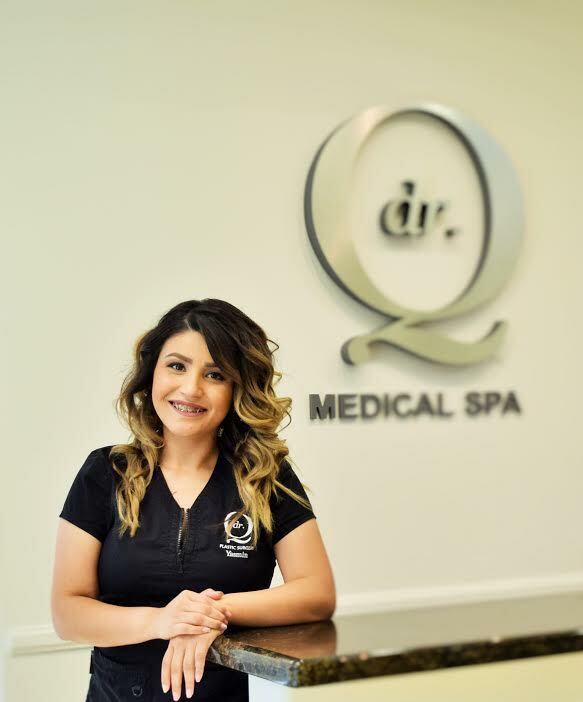 Kiara is our Medical Assistant who was raised in the San Fernando Valley, graduated from Desert Hot springs High School, and soon began studying the medical field. She developed a strong sense of devotion for the medical field and later received her certification in Medical Assisting from Brightwood College. Her passion for plastic surgery makes her an excellent recourse for patients throughout their journey. She is always eager to help patients and put them at ease. During her free time Kiara loves spending time with her Daughter and enjoys attending music festivals and concerts. Evelyn knew she was passionate about aesthetics in her teens when she began her professional modeling and make-up artist career. 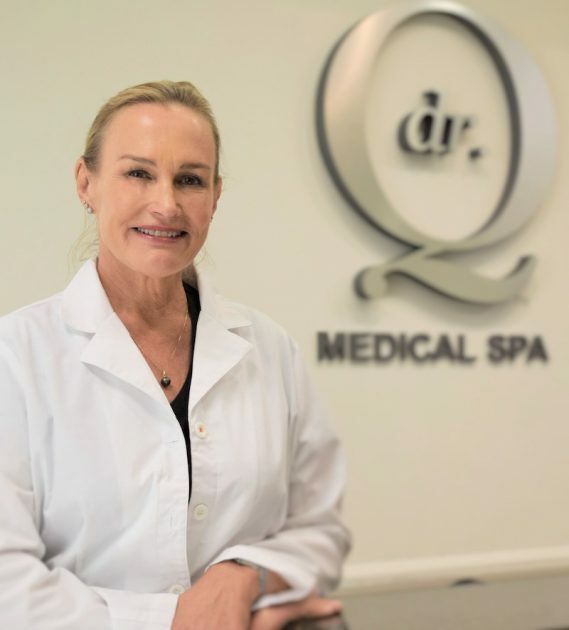 She opened her first skin care studio in 1993 and has been providing patients with high quality, rejuvenating skin care treatments ever since. She brought her skill and experience level up to the medical aesthetics field in 2013 by earning her RN license. 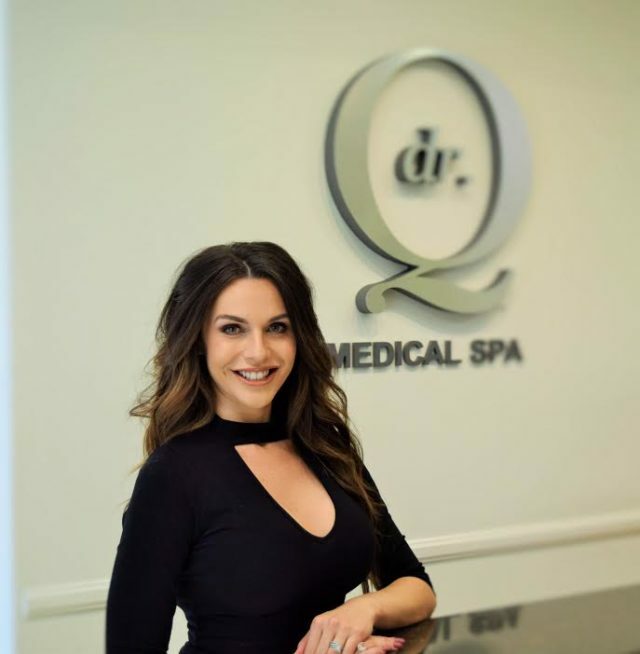 She loves providing high quality, safe, and effective treatments for her clients including injectables, a variety of laser modalities, PDO Threadlifts, derma-planing, micro-needling, and peels. Evelyn also has 3+ years of advanced Ultherapy training. She understands the various skin types and which treatments may or may not be appropriate for each. Evelyn also knows how to combine or blend the various modalities to achieve maximum effect in a non-surgical environment. Ryan has been a licensed aesthetician for 9 years. She was raised in Yucaipa and now lives in the small town of Cherry Valley with her two energetic huskies. She has always had a niche for helping people. And knew from an early age she wanted to be in the skin care industry, so she could bring happiness and self-confidence to her friends, family and community. Ryan has years of experience with customer service and strives to be professional and knowledgeable on all skin care needs. She has treated a variety of skin conditions during her career. And finds it both challenging and rewarding to customize and tailor treatments that best benefit those skin types. Today, Ryan continues her education in the field of aesthetics and keeps up with the latest trends and innovations in order to provide you with the best and most efficient results possible. 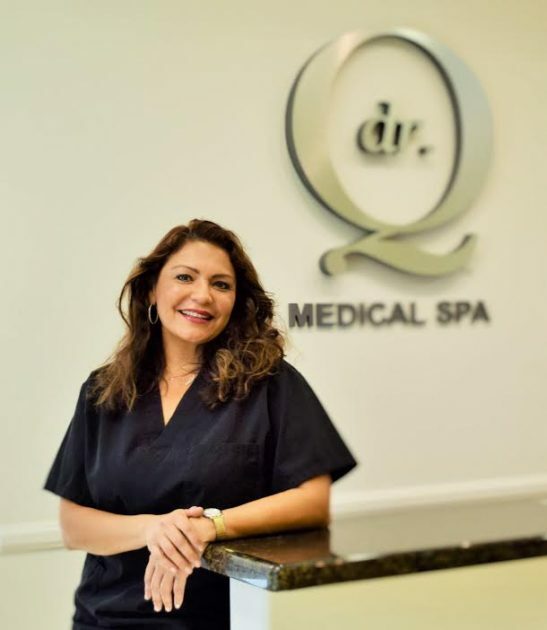 She is dedicated to quality and looks forward to help you achieve your skin goals. Elayna Freiberg has 20 years of experience in Esthetics. She graduated Palomar School of Beauty in San Diego, California and attended International Dermal Institute of Beauty. She is certified in advanced peels, RF Micro-needling, oxygen facials, microdermabrasion and micro-resurfacing technology, and CoolSculpting. Elayna is a native Coachella Valley resident who thrives giving back to her community. She has volunteered &/or co-chaired events for American Cancer Society, Girlfriend Factor, American Heart Association, Desi Foundation, Pretty Committee and Wealth of Possibility (with city of Indian Wells). Elayna is a Former Beauty columnist for Desert guides Online and former Beauty expert on Joey English radio show. She enjoys trying different restaurant cuisine, meeting new people, listening to motivational podcasts, spending time with her teenage daughters & enjoying a plethora of friends from all walks of life. Sheenah knew at a young age that she was passionate about caring for and helping others. She started out as an EMT in 2003, and then earned her RN license in 2009. She continued her education, obtaining her Bachelors in Nursing and becoming certified in Acute and Critical Care Nursing. She enjoys being on Dr. Q’s surgical team, caring for patients from the time they arrive on surgery day until they are discharged home. Outside of the office, Sheenah continues her work as a bedside critical care nurse, she loves the variety that comes with both types of nursing. In her personal life, Sheenah is a wife and mother of four. She enjoys spending time with her very active family. Her personal past times include reading, running, cross-fit, and pretty much anything active and outdoors.